But alas, at the end of the day, you just want a real estate plugin that has already taken care of all these problems. You just want to be able to install the plugin and add your listings, so you can get on with the rest of your life. When you want to create a real estate website for yourself, a broker office, large agency, or even want to create the next property portal, Easy Property Listings is the WordPress plugin you need. You can read about the many challenges we faced and struggles we had and why we built Easy Property Listings plugin for WordPress. Lets face it, you don’t want to spend hundreds of hours configuring a real estate plugin to suit your real estate business, or your customers needs. Head over to Easy Property Listings to download the plugin and save it to your computer. Be sure to subscribe to the Easy Property Listings email so we can let you know about new Easy Property Listings versions and upcoming features. 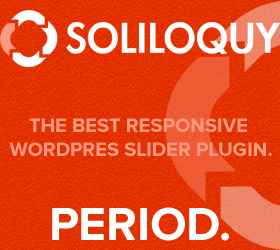 * Its will be now available in the plugins directory at WordPress.org with automatic updates. 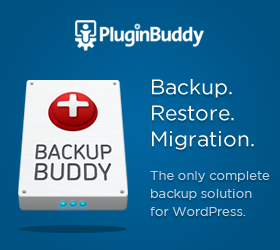 We use and recommend BackupBuddy plugin for WordPress website backups. Login to your WordPress Dashboard and visit Plugins > Add New. Select Upload. Choose the saved zip file you downloaded before and press Install Now. Once the plugin is installed press the Activate Plugin. After Easy Property Listings it has been activated you will see the Getting Started page with quick help. You can re-visit this page later by clicking Getting Started on the plugins page or from the Settings page under the Easy Property Listings tab on your WordPress dashboard menu. Not every real estate website needs support for all the different listing types, here you can add the ones you need. 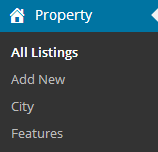 Once you have activated Easy Property Listings, the menu will now appear in your admin but listing types are not activated until you enable the ones you need from the Settings page. Visit the settings page and tick the Listing types you want to enable from the list and press Save Changes. You may need to re-fresh your browser to see your newly activated listing post types. Also it is a good idea to re-save your WordPress permalinks, go to: Dashboard > Settings > Permalinks – press Save Changes. Set your currency options from the settings page. The Location label is what the plugin uses to automatically link similar listings, authors and additional extensions to a location. You can use uppercase letters and spaces here. The resulting taxonomy slug will be formatted e.g. ; Sydney Suburb becomes sydney-suburb. 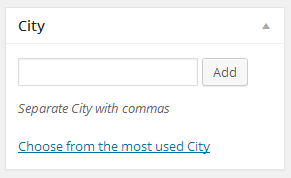 In future if you decide to change the Location Label, remember to re-save your WordPress permalinks. In Australia you would set the Location Label to Suburb, or if you are in Melbourne and want a SEO boost, enter Melbourne Suburb. 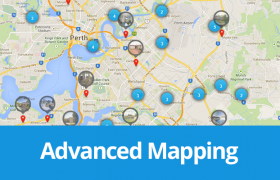 Or perhaps you prefer City or Neighbourhoods to group your listings, change that here. This is also the WordPress slug of the custom taxonomy “location“. This allows you to have a page showing listings from a specific location and is also used with the included EPL – Listing Search widget and various extensions. EPL Stands for: Easy Property Listings. These settings change how the different listing pages display on the front side of your website. Hop over to Easy Property Listings > Display and configure the general display options and customise your labels. Hide or show the rental bond with the rental amount. When set to on the rental listing price will be $400/week Bond $1,200. When of it will just show $400/week. Automatically display images associated with the listing. When set to no you can create manual image galleries to the content area to control the order, or you can use the EPL – Listing Gallery widget to add images to widget areas in your theme. When using the automatic gallery, here you can set the number of image columns. For the property features list, set the number of columns you want to display. Excerpt: Number of words on listing archive pages. Set the number of words that display on the listing archive pages. Home Open Label/ Open For Inspection. No Price Label: POA, Offer, Contact for Price. Once you have configured your settings press Save Changes. 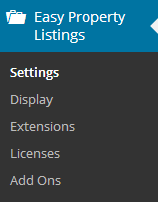 * Additional extensions like the Staff Directory and Listing Templates add more settings to this page when enabled. 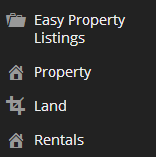 If you have enabled the Property, Land and Rental listing types they will appear in the admin menu under the main Easy Property Listings menu option. The add/edit listing pages have been configured using the standard WordPress format which is responsive and allows you to enter information and publish listings quickly and easily. 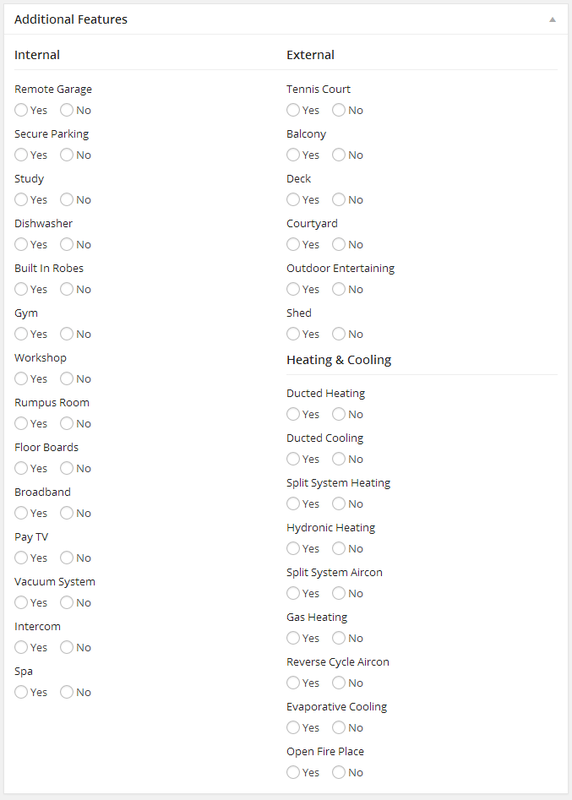 Each listing type has slightly different information requirements and settings but all follow the same clean format. Hover your mouse over Property tab and press Add New. This should be set to the full property address, e.g. 12 Somewhere Street, Somewhere WA 6020. Using the property address as the title is better for your SEO efforts and prevents WordPress re-direct issues. Often you will change the listing headline multiple times while selling or leasing a property. This causes problems with you trying to link to with emails and can cause endless loop redirects because of how WordPress works. If you have a listing where you don’t want to show the address, use a unique listing number and location, e.g. 1234567 Somewhere WA 6020. Enter your listing text description here as you normally would with any WordPress post. Add any amount of text, insert images, create bullet lists as you can with your regular WordPress posts. Set the location of your listing. Sorrento, Craigie, Sydney, Gold Coast, New York, Manhattan etc. 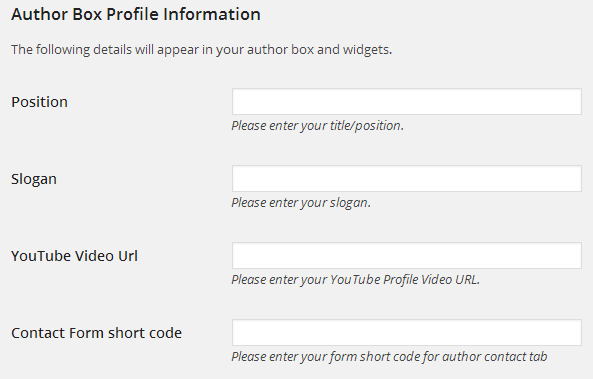 Select the WordPress user/author. This will be the real estate agent selling or managing the listing. Add the full property address here for your listing and press the green icon to generate coordinates for the listing. If you don’t want to display the address, enter in the details anyway and press no for Display Address. 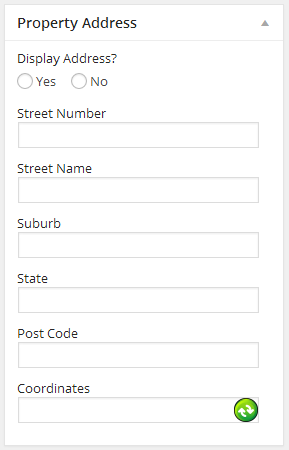 On the front side of your site all that will be displayed is the Suburb/City, State and post/zip code. You can add as many images as you like to each listing and they will be displayed as you have set in the Display settings, automatically, manually or using the EPL – Listing Gallery widget. To add images do this as you normally would for a WordPress post or Gallery with the Add Media button. If you decide to automatically add gallery images to the post just add your images to the listing. Be sure to set your featured image for the listing too. This will be the main image for the listing on the single page and archive pages. Enter in your listing heading here along with other details. The Listing Agent and Second Listing Agent boxes are for automatic REAXML import support and are not needed if setting the author above. 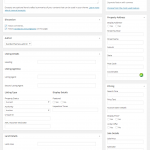 However if you require a second real estate agent, to appear with a this listing, enter their WordPress user name in the Second Listing Agent box. *If you are importing listings from XML this is where the details are saved. Select the listing status, eg. current, sold, leased, withdrawn, off market. If a property is “under offer/contract” it should be set to current and just select yes for “under offer” in the Pricing section. 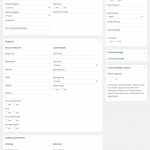 Configure your listings pricing settings here. Always enter in a figure for the Search Price field even if you are selling a property with a no price marketing strategy. This field accepts numbers only and is used with the EPL – Search Widget. Set your “Under Offer/Contract” here so you’re under offer label will display where the price is. If using a no price strategy, set display price to no and if you have entered Price Text, e.g. “Call for Price” that will appear or if blank your default POA label will appear. Enter in your property features for your listing. All these details will appear in the Features Lists. 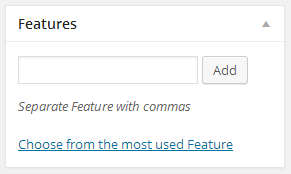 Add your property features here separated by commas like post tags, e.g. Study, BBQ, dishwasher, veranda, alfresco area etc. The added benefit here is all your listings will be grouped so buyers can click view all your listings with a study. These features provide full REAXML and other XML format import compatibility. 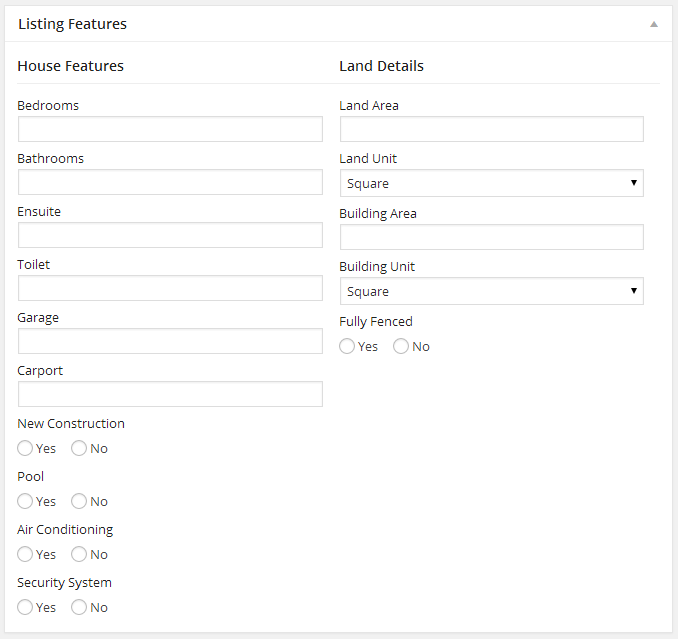 If you are manually entering listings its better to use the Features box mentioned above to add your special features, as you can have any features you like with the automatic benefit of grouping. All these details will appear in the Features Lists. * If you are not importing listings from a feed like REAXML into the plugin, we recommend you ignore the Additional Features box and use this Features box to add as many property features as you like, just how post tags works. 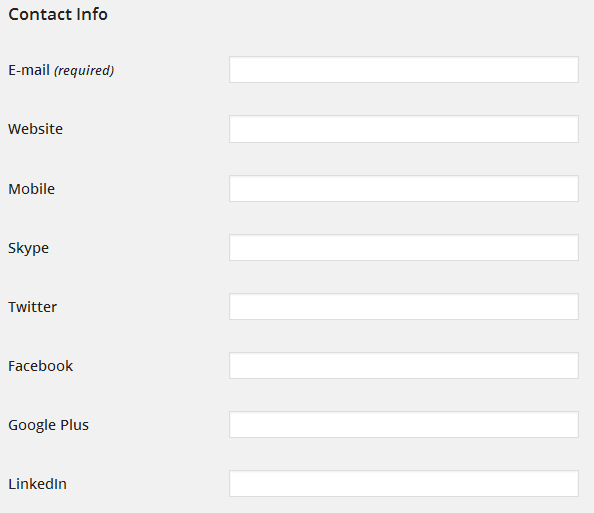 All of these fields accept a URL link to the media types. Copy and paste a link to any additional media types you have here. For a floor plan, upload the file or image as you would for listing images and copy the URL and paste it in the floor plans boxes. Don’t worry if there is additional information that perhaps you don’t have or use. Your site will still display perfectly fine without it. In future, you or your client may need to import listings from a XML feed instead of manually entering listings. The additional fields are here to allow full REAXML support, but works without them. Press the Preview button to review your listing until your ready to publish your listing and save your changes to make the listing live. 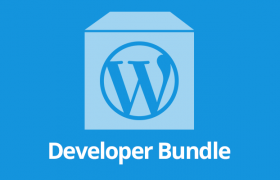 If you are using a WordPress theme built using the HTML5 Twenty Twelve format, iThemes Builder Framework or Genesis Framework it should work automatically. Other themes and frameworks may require some custom code added to the theme/child themes template files. If you get a page not found or blank page when displaying your listing, first make sure you are using the pretty permalinks, if you are then you may need to clear your permalinks. 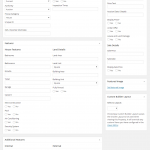 Visit Dashboard > Settings > Permalinks and press Save Changes to clear them. View your listing again to see the result. * If you still see an empty/white page or error, your theme may require some additional customisation. 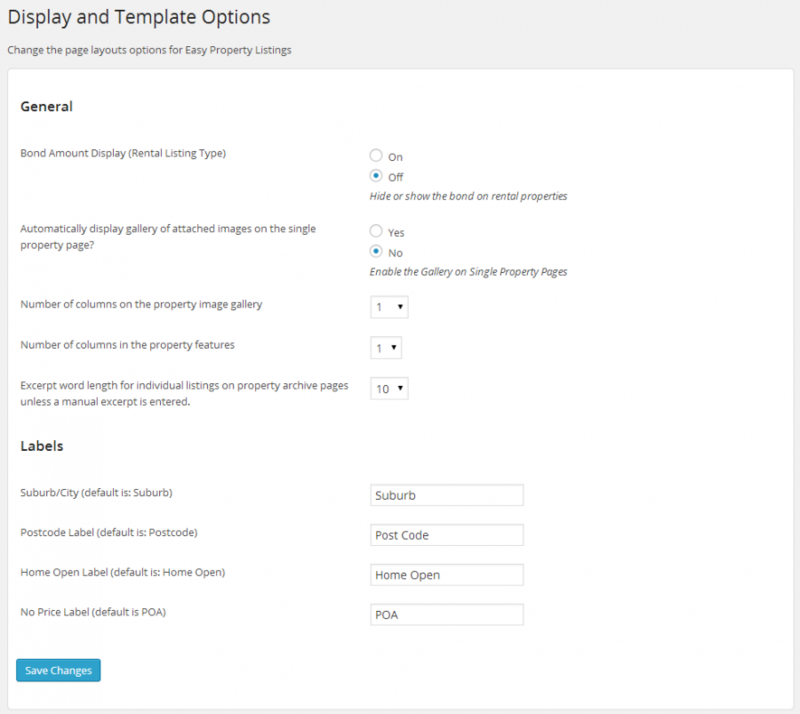 Read here for additional instructions on how to configure your WordPress theme template files. 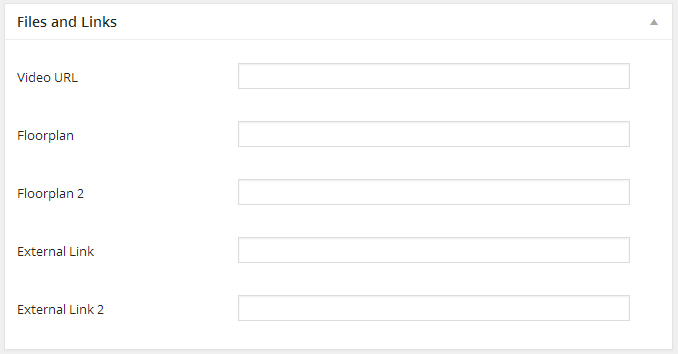 Create a blank page for each listing types you have enabled using the listing type slug. This will allow you to add the page to your menu without having to create a custom menu. 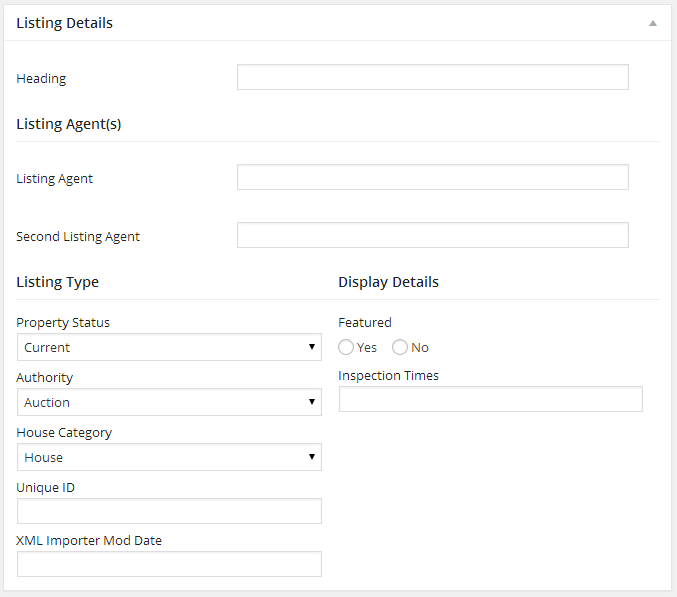 For Example, if you have enabled these listing types: property, rental, land. 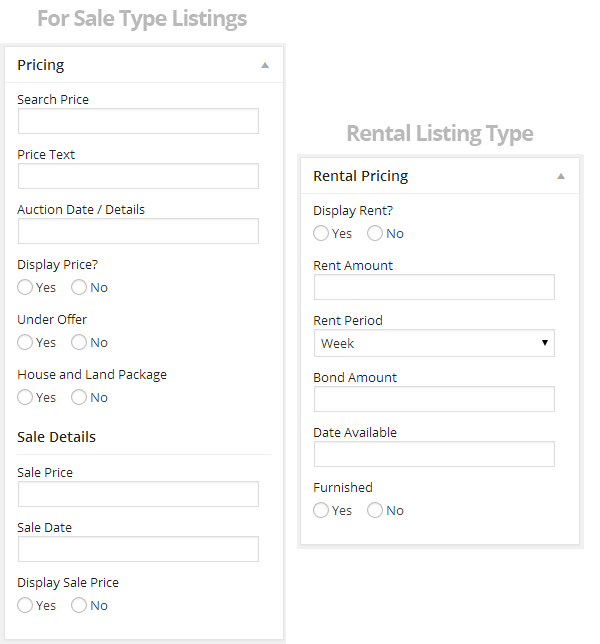 Create a new page for each listing type and make sure each page slug is: property, rental, land. The single listing template includes an author box with optional tabs of information and links to you social media profiles. Go to Users > All Users and edit your profile. Easy Property Listings allows you to add additional information to the author box, it uses your bio text, YouTube video, slogan, contact form and links to your social media profiles. Edit your profile and save, this will add additional tabs and social media links to the author box. Once you have previewed your listings and listing archive pages, you may want to add widgets to your blog page, home page or other pages. You can display the Easy Property Listings tabbed author box on your posts by adding a simple line of code to your single.php file. Take a backup of the files you edit first then open it in your favourite code editor. Add the following line where you want the author box to appear, usually above the comments function. This will insert the author box before the comments on your posts. From your dashboard you can check out the add-on extensions that are available for Easy Property Listings. Click the Add Ons menu option button under the Easy Property Listings menu option. Grab all 10 of these extensions at once for with the core bundle. 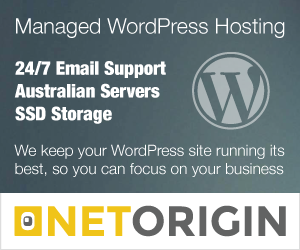 This plugin has taken several months to create for you to use and we have decided to release this for free to the wonderful WordPress community. We would really love if you were to purchase an extension or two to help us to continue to add more features and expand the development of Easy Property Listings. Let us Know how you go using Easy Property Listings plugin for WordPress on your next real estate website. Tell us if it really was easy to use or difficult. We need your feedback to make it better. Also submit your real estate website to the Easy Property Listings showcase. here there is an issue when i am deploying the plugin is it not working and whole site gives error when is rendered so give me some suggestion what to do. It seems to be an issue with some themes and not others. Which theme are you using? I’ve pushed a new version with the fix but am unsure without knowing your theme if the fix will work. Please direct your Easy Property Listings questions on our support desk. Hi, I found your plug in while I was searching for the property listing plugins. Is there any chance that you can add “Korean Won” to the currency?? I really want to use your plug-in, but I can’t because it doesn’t have Korean Won. You can add any currency using the hook included in the plugin, check this guide. Unable to create directory wp-content/uploads/2015/02. Is its parent directory writable by the server? Are you able to upload an image to a post? Sounds like you have a server preventing you uploading files. Easy Property Listings works within WordPress so that upload error will happen on posts and pages too. so bone up on your abilities. no damaged links or pages. Broken links prevent consumers from navigating your website. by online search engine either, which is likewise poor marketing. to enhance in the rankings, so make sure that you’re constantly conserving files with keywords. Prevent making use of keywords that are of no relevance to your website or product. it easy. You will have spread yourself too thin if you try to capture every keyword in your niche. ability or perhaps a great deal of effort. Exactly what is necessary is that you take the right method. 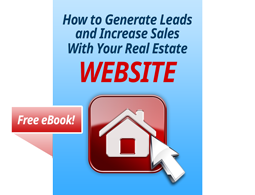 I saw your “How to Create a Real Estate Website or Portal with Easy Property Listings for WordPress” in you tube. It was really helpful. May I know the plugin name you use for “builder” option?